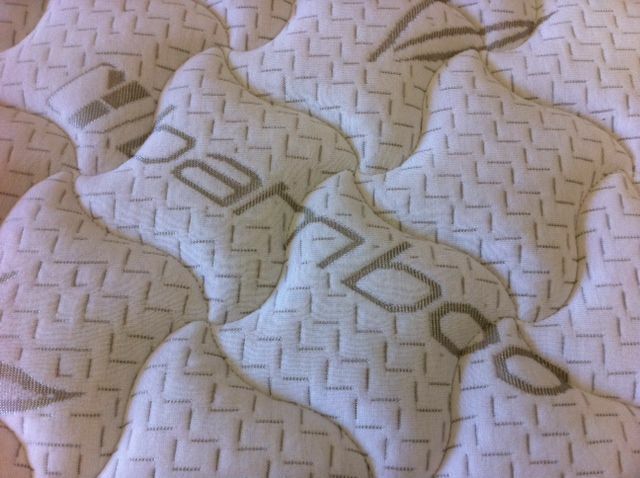 For those demanding the best we now offer our best selling Twin or TwinXL Adjustable Ultra Plush mattress made with 100% natural talalay latex and we are throwing in our natural Bamboo quilted cover upgrade FREE! This is a tremendous value when you consider you are getting nothing but the best through and through. Not only will you be getting the highest quality latex on the planet but it will be from top to bottom. 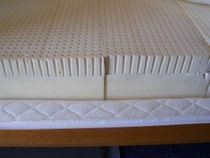 Many of our competitors "claim" to sell all natural talalay, but on closer inspection you'll find it's only in the topper material. NOT the core itself which is most important and the biggest expense. Bamboo's soft and luxurious feel combined with it's natural, anti-bacterial properties and moisture managing properties creates fabrics that offer a greater sleeping comfort. Fabrics that breathe, have temperature regulating properties and a high abrasion resistance. Bamboo's anti-bacterial natural defenses also act as a natural deodorant, keeping Bamboo mattress fabric fresh and natural. Bamboo fiber is used for its natural anti-fungal properties as well and make it ideal for people suffering from allergies. In addition the cover has 1.5 inches of pure natural Joma Wool for added comfort and natural components. BAMBOO.................. Harmony with nature. This Twin or TwinXL mattress finishes at approx. 9" thick. Watch This Video Before You Buy! Website designed by ioVista, Inc.